The GFSB would like to invite members to our GFSB Annual Dinner on Thursday 21st March 2019. 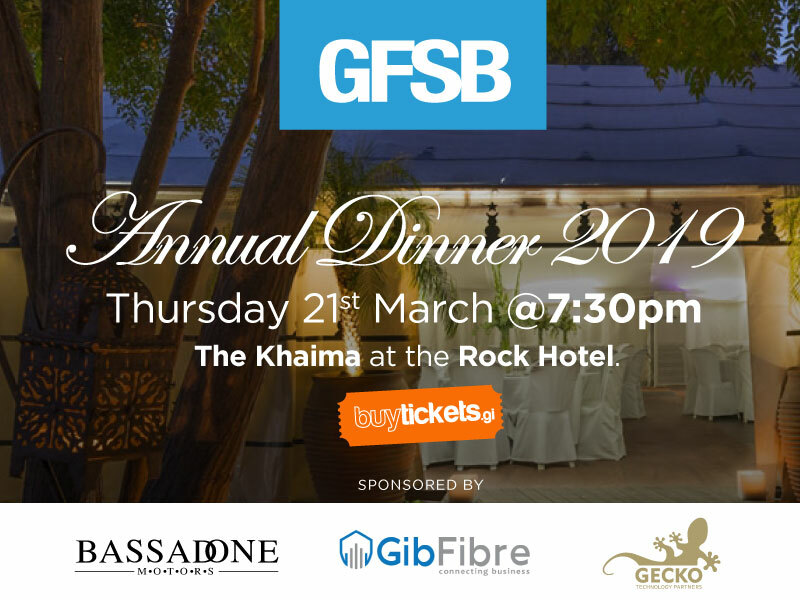 The GFSB will be hosting approximately 200 guests at its Annual Dinner 2019 in the Khaima, Rock Hotel. Non-members are welcome as we gather to enjoy a lovely meal together, hear from the Board what the GFSB has been up to and has planned for the coming year, the Chief Minister Hon Fabian Picardo will be providing us with a Brexit update only 8 days before Brexit day, presentation of the GFSB Business Innovation Award and much more. The dinner is an excellent opportunity to network with lots of other local businesses in a relaxed atmosphere. It is also one of the GFSB’s main events of the year where there will be a raffle to raise some money, so come with your wallets full. If you have not been before we would recommend it to any business. Come and enjoy the evening! The Raffle towards the end of the evening is great fun, so come with your wallets full and buy lots of tickets! Who knows you may leave the evening with a new iPhone, coffee machine or a round of golf! If you would like to donate a raffle prize please click on this link. Tickets are NOW available on BuyTickets.gi. Important; Please make sure you fill in all the fields whilst purchasing your tickets, especially the dietary requirements. 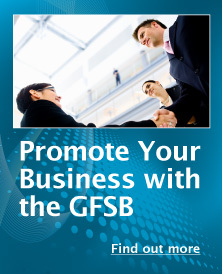 Sponsored by GibFibre, Bassadone Motors and Gecko Technology Partners. Also a big Thank You to Saccone & Speed, The Rock Hotel and to all those who have donated to our Raffle.